We are looking forward to seeing you at the March 13-15, 2020 Lancaster Sheer Elite Tour Competition and Convention. Experience a dynamic weekend showcasing your talent on stage for competition combined with having an amazing and educational time in a variety of convention classes. Feel free to contact us at sheerelite@gmail.com or 917-971-4995 with questions. The Sheer Elite Competition and Convention is not to be missed. Make new life-long friends with memorable experiences and incredible opportunities offered in a truly professional setting. 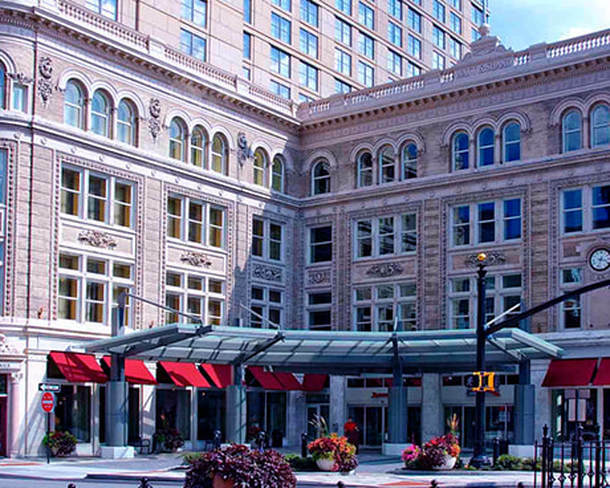 The Lancaster Marriott at Penn Square; located with easy access to Delaware, Maryland and New Jersey; is our eastern Pennsylvania destination. Make this your March fun weekend! From the moment you arrive you will feel welcome at our classy, on-time and encouraging competition setting with adjudicated medals and high score awards given out at each award ceremony. The special awards are always an highlight recognizing chosen extraordinary dancers. The two overall awards will culminate the evening. Who are the best dancers of the weekend? In each workshop class: ballet, contemporary, hip hop and tap; our diverse top industry faculty will bring their own passion with a focus on education so each dancer is able to reach his or her full potential and growth in every class. All family and friends are invited for our Closing Scholarship Sunday Awards Ceremony; where over $15,000 will be given out in awards and scholarships redeemable for nationals, ballet intensives and 2021 tour cities. Recipients include all high score division winners, specially recognized choreographers, faculty select dancers from each convention class, chosen talented ballet dancers and the prestigious Vickie Sheer Award recipients. We want you to leave the event taking with you an unforgettable celebration of dance to your studio; with encouragement provided to all dancers striving to excel at their craft for their future. The Vickie Sheer Award is given out in recognition in both competition and convention for excellence in achievements above and beyond expectations. There is one award given out for each age category; and each recipient automatically qualifies for the 2020 national title competition; as well as representing Sheer Elite International for the 2021 Tour. Become the Creme de la Creme of Sheer Elite International and enter your highest titanium or diamond scoring Lancaster competition solo into our 2020 National Title Competition. Extend your creativity in a truly international setting engage in a four day professional real life experience with top notch industry choreographers, The Title Opening Number will be showcased at the National Awards Banquet, where Mr. Sheer and Ms Sheer winners will be crowned and awarded as the 2020 Crown Court, representing Sheer Elite International at the 2021 Tour. Room rates are not guaranteed if booked after deadline. Book early for best rate! Availability is limited. Registration opens August 1, 2019. Pre-Register Before October 15, 2019 With a $500.00 Deposit to Save your Spot and Receive Additional Savings! Registration and Payment is due 30 days before the event. Faculty TBA. Class styles, faculty, program and times are subject to change without notice. 2:00 pm - 2:30 pm Scholarship Presentation with all students and parents. *Small Wonders, age 8 and under, start convention workshops at 11:00 am and do not have a lunch break. ​Competition schedule will be available one week before event. Results will be posted after event.